Get noticed with your own custom designed flag. A fantastic way to get your message across. Our custom printed flags come in a range of sizes and are perfect for attracting an audience at any promotion or event. With quality materials and supportive bases, you can be sure your flag withstands the elements and represents your brand in the best way possible. 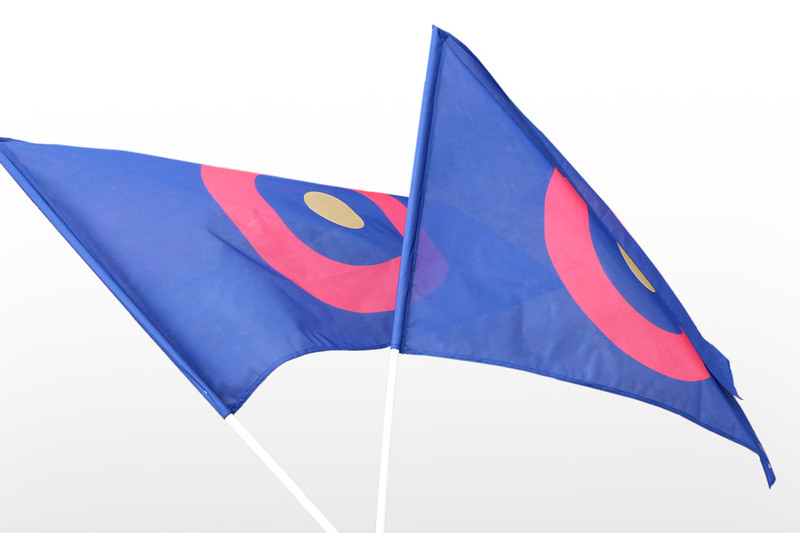 Our flags can be made in a variety of sizes ranging from 250x75cm to 400x75cm. Made from 100% polyester they are both durable and easily customised to match and brand request. Other options include: Poncho flag with hood, teardrop flag, hand held roll-up banners and larger banners in various sizes.